Wolf, Werner - Wolf, Werner, O.Univ.-Prof. Mag.art. Dr.phil. Werner Wolf was born in Munich in 1955. He studied English and French at the Universities of Munich, Canterbury (England) and Toulouse (France) and received his PhD in 1984 with a dissertation on French 18th-century sentimental drama (Ursprünge und Formen der Empfindsamkeit im französischen Drama). During his studies he was a member of the German National Study Foundation (Studienstiftung des Deutschen Volkes). After having passed the first and second state examinations for grammar school teachers in 1981 and 1985 he was, from 1985 to 1994, assistant professor at the Department of English at the University of Munich. In 1991 he received his Habilitation (post-doctoral degree) with an award-winning monograph on the theory and history of aesthetic illusion and the breaking of illusion in fiction (Ästhetische Illusion und Illusionsdurchbrechung in der Erzählkunst. Theorie und Geschichte). Werner Wolf was offered professorships and chairs at the Humboldt Universität/Berlin as well as at the Universities of Tübingen and Heidelberg and has been chair of English and General Literature at the University of Graz/Austria since 1994. 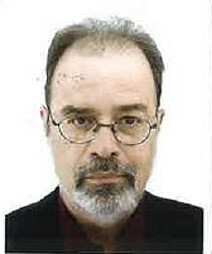 He is member of several associations, including the International Association for Word and Music Studies (WMA), of which he is a founding member, and a corresponding member of the Austrian Academy of Sciences.